Excellent! 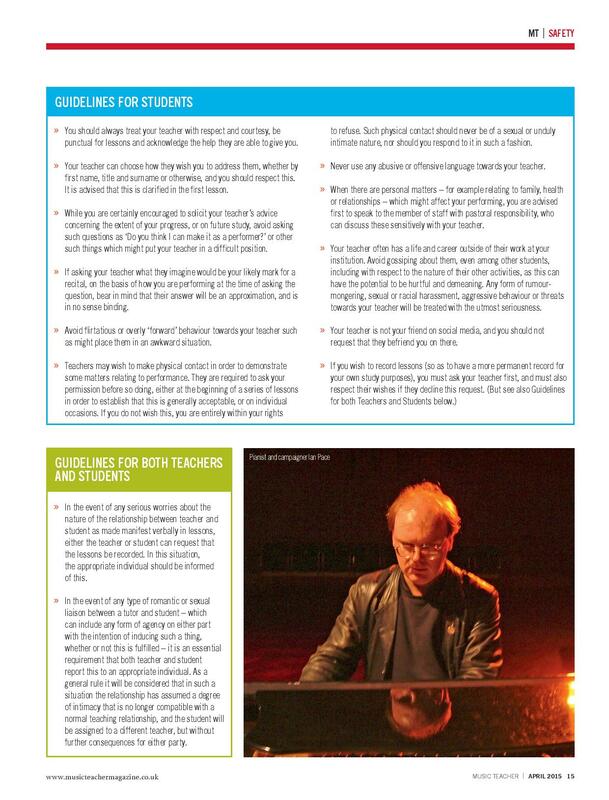 Your Guidelines for Teachers and Students deserve to join with Strauss’s rules for the conductor and Busoni’s for practising the piano! 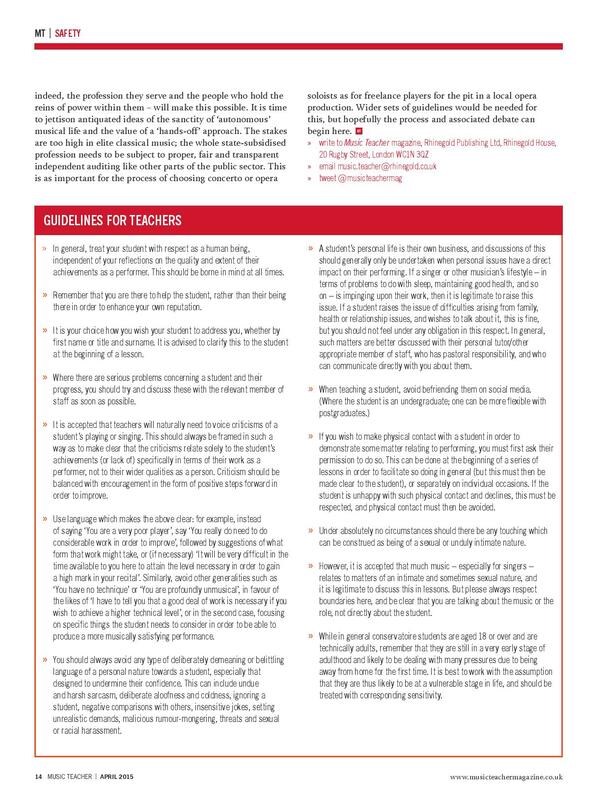 Many thanks for writing this piece and appending those succinct and easily understandable guidelines; let’s hope that due notice is taken of both, especially by teachers of music. You’re very welcome, of course! 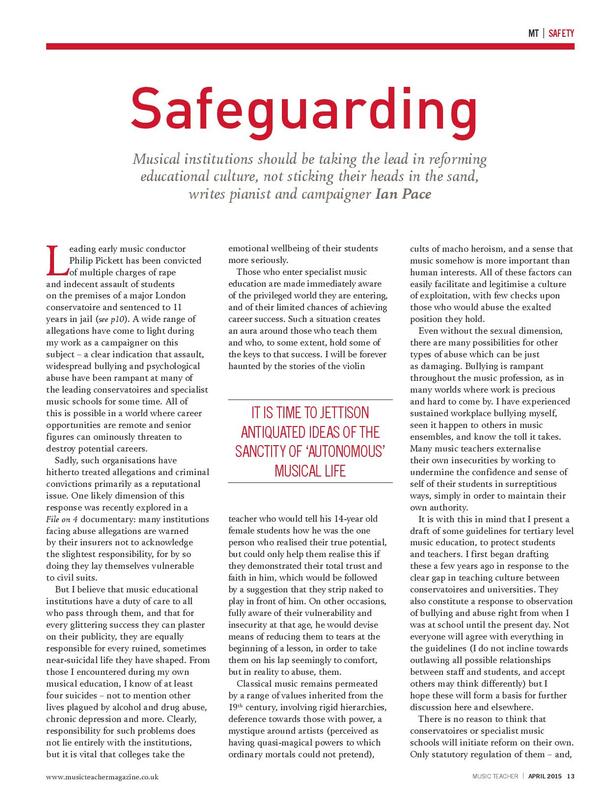 It’s now at last far more widely known than once it was (in no small part thanks your your sterling ongoing work in the subject) what terrible and terrifying acts have been committed in certain such institutions under the cover of the fostering of academic and performer excellence in music; what you write is all too mecessary and your list of recommendations welcome, sanguine, sensitive and pragmatic. I meant “necessary”, not “mecessary”, of course! – but I can’t edit the post. Sorry!